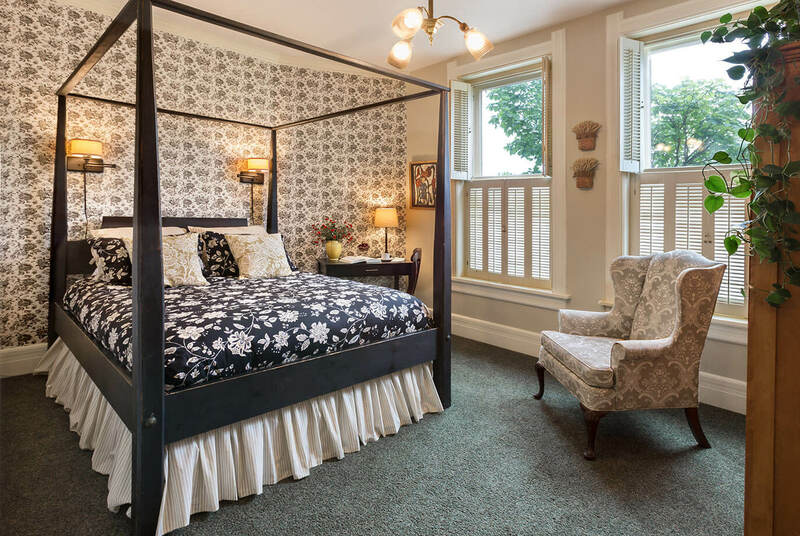 To experience one of the best weekend getaways in Wisconsin, choose this stately room with a queen four-poster bed and in-bath shower/whirlpool. 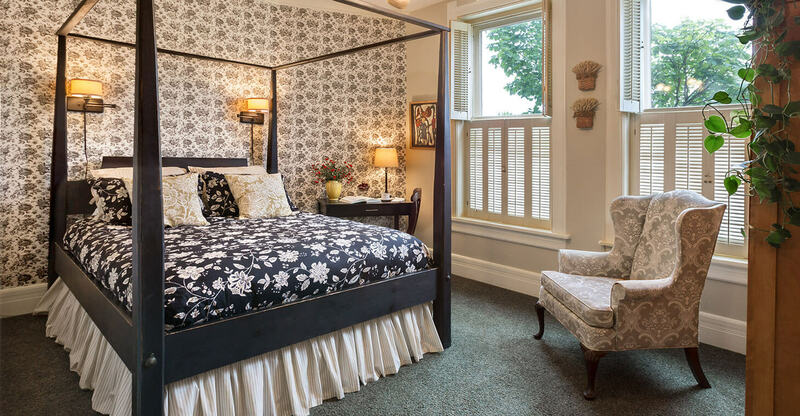 The Frederich Roebken room overlooks the Cedarburg Historic District from the large windows with wood shutters. 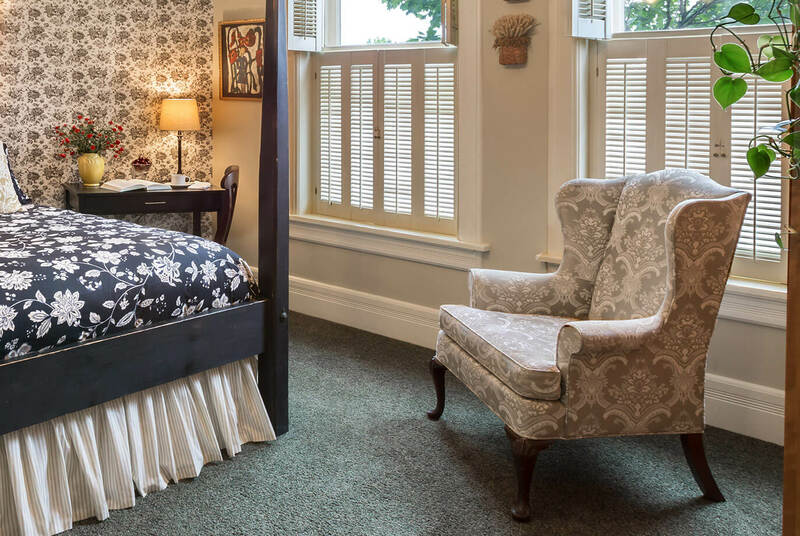 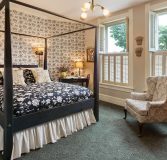 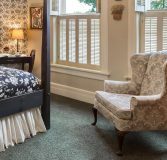 The Victorian details make this accommodation the perfect choice for a romantic Wisconsin getaway.